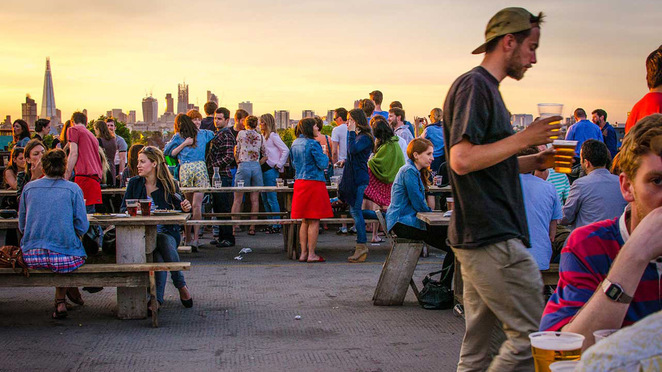 Discover the coolest rooftop bar of all London: Frank's Café. 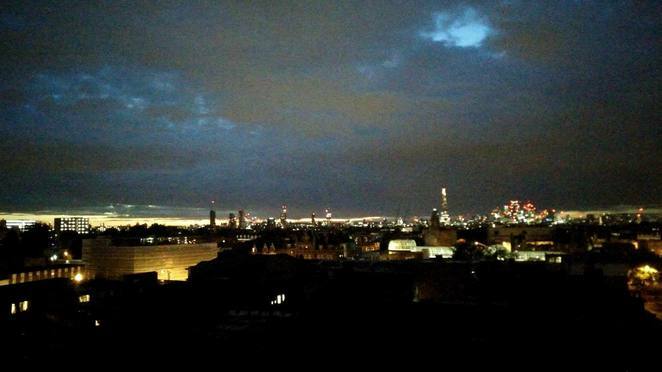 A popular rooftop for Londoners, it offers spectacular views of the capital. The Shard, the Gherkin, St Paul's Cathedral and more can all be seen from here. Situated in Peckham, Frank's Cafe is a hot spot during summer. This pop-up is only open during warm days, from May until October roughly. It's all pink staircase is also really famous, as it is the perfect place for a group picture. With its trendy and friendly staff, massive wooden tables nestled under a huge red tent and asphalt as far as the eye can see, this lesser known bar offers the best Italian cocktails, all made with Campari. They also offer many things to eat, from hummus snacks to full on kebabs. On the menu, you can find home-made specialties such as Campari Spritz (£ 7.50) or Negroni (£ 6) and super snacks (pitas grilled eggplant 6,50 £). I strongly recommend going there before sundown, to see the sunset on London. If you happen to miss it, don't worry, London by night is also gorgeous. If it rains there is nothing much you can do other than hide under the large red tent but it will easily be crowded. Maybe go to a nearby bar and come back later when the rain has stopped.